Thanks for visiting our store! If you’re a retailer interested in placing an order for resale, please visit our wholesale page. 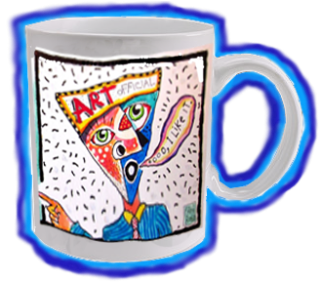 These Fred Babb Art Prints, T-Shirts, and Coffee Mugs make spectacular gifts for the art lover in your life or the art lover in yourself! And they’re made from quality materials to last a good long time. We are proud to partner with The Dreaming Zebra Foundation--a charitable nonprofit that provides donations of art and music supplies to underprivileged children worldwide. 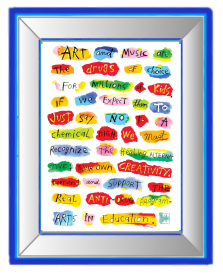 We here at Fred Babb Art are staunch supporters of the arts, and we believe this mission is not only admirable, but necessary in today's world. 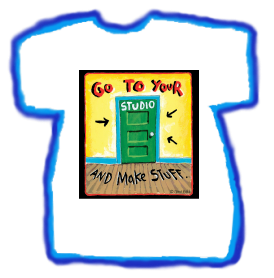 Therefore, a portion of the proceeds of all items bearing the Arts in Education design will go directly to Dreaming Zebra.